Despite the girl's rather melodramatic pose this cover stands out for a certain delicacy and restraint, qualities we don't usually associate with the vintage pb style of ca. 1950. 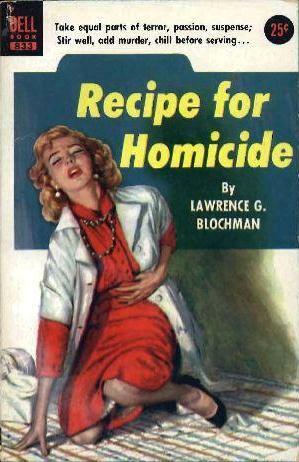 See also review at Pulp International : Two Covers for Recipe for Homicide.